Painting as Shooting by Liu Xiaodong is conceived as an exhibition in three chapters, curated by Jérôme Sans and produced by Faurschou Foundation, in Venice, Beijing and Copenhagen. The first leg, which took place at the Cini Foundation for the Venice Biennale in 2015, was the first major European institutional exhibition to fully explore Liu Xiaodong’s unique practice, as one of China’s most influential painters of the last two decades. The second, presented by Faurschou Foundation in its Beijing space, presented the most recent series of works created by the artist during his stay in Ordos in Inner Mongolia. 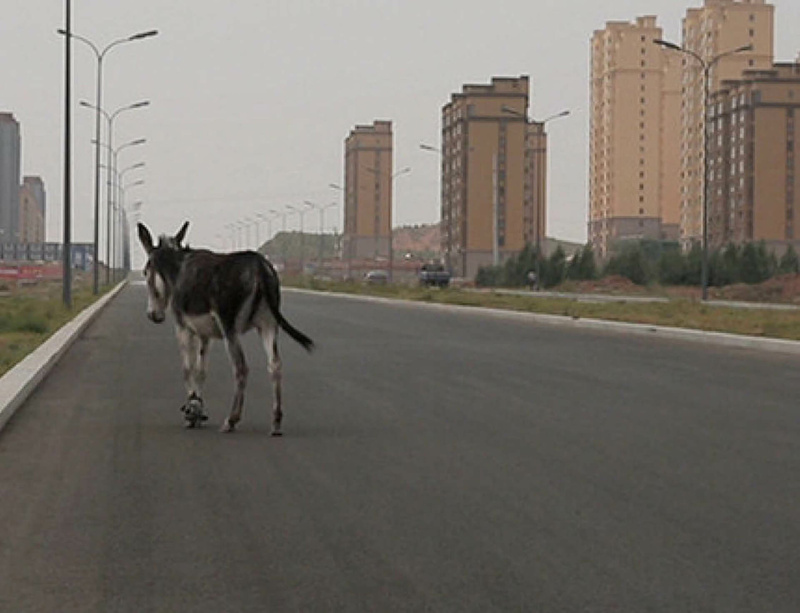 The last chapter, mixing the first two shows, represents the most up-to-date survey on Liu Xiaodong’s work and takes place at the Faurschou Foundation in Copenhagen, Denmark from 26 May until 16 December 2016. The exhibition focuses on a unique selection of some of the artist’s most important projects from the last decade. They deal with major global, sociological, cultural, economic, ecological and environmental issues from the past ten years. It is not meant as a retrospective exhibition but rather as a journey through images of the various worlds and situations he has witnessed all over the world, in locations such as China, Asia, Cuba, Europe, Israel and beyond. Most recently Liu Xiaodong reactivated the issue on human migration, which appeared in his earlier "Hot Bed" series. Previously he portrayed migrants within Asia, both in his homeland China and in Thailand. Today Liu focuses on the largest migration and humanitarian problem since World War II: communities taking the most dangerous trip across the Mediterranean Sea and the most hazardous routes into Europe to escape the wars in the Middle East and Africa, hoping to find a better future in Europe. Please click here for more information on the exhibition. Image: Yang Bo, K.O (still) © Xiaodong Studio; Courtesy Faurschou Foundation and Xiaodong Studio.